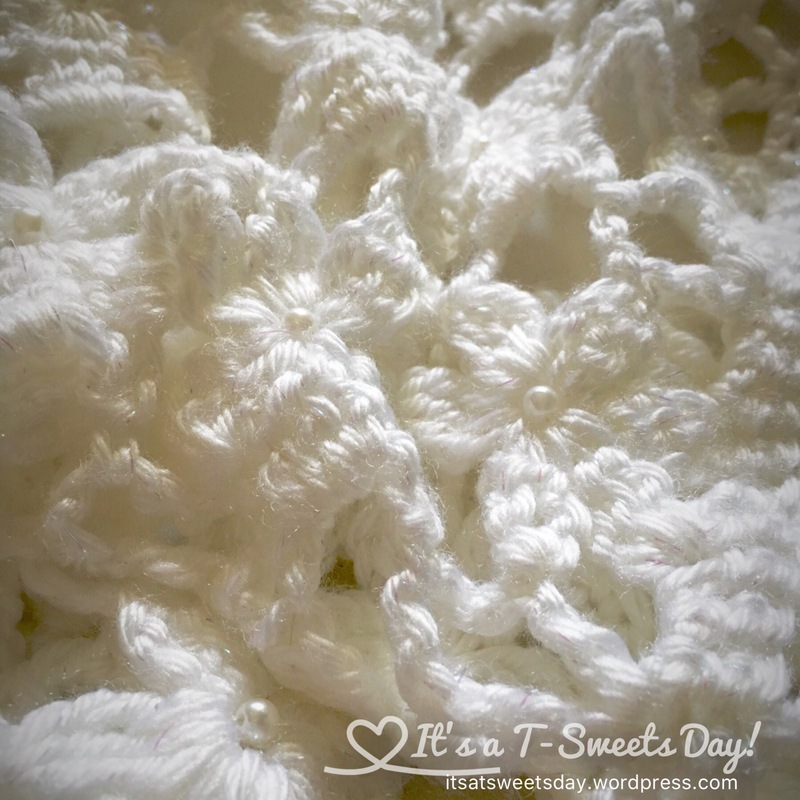 Funeral Blanket – It's a T-Sweets day! 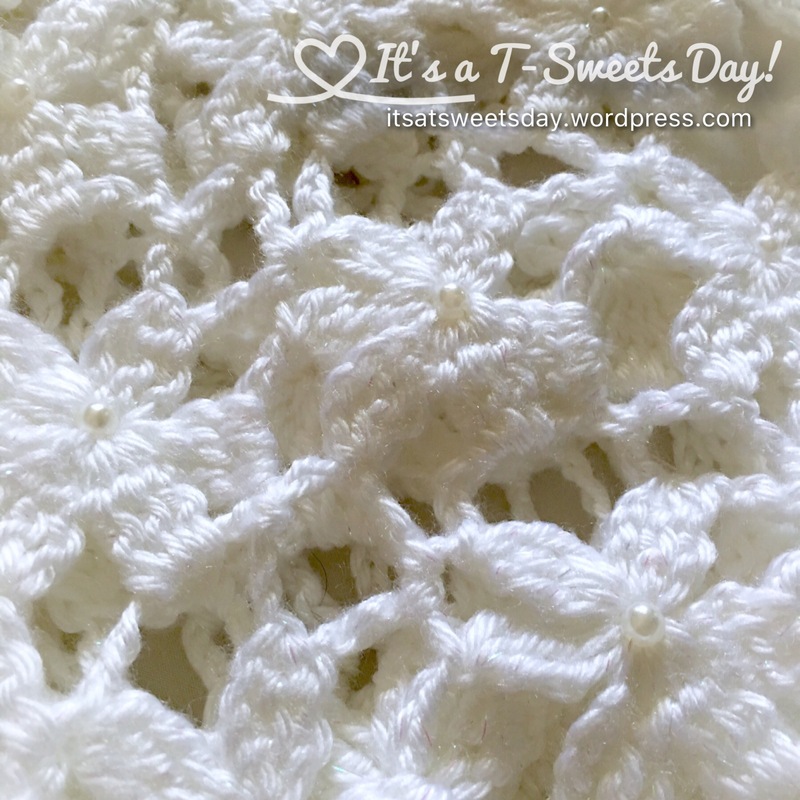 Published on August 10, 2016 August 10, 2016 by Tracy @ It's a T-Sweets Day! I can’t decide if I am thoughtfully kind or just morbid, but I make funeral blankets. I have done this for years. I make them and put them in my closet. Then when someone close to me passes away, I am ready with a gift of love and comfort. I wish I could say that I have a closet full of blankets, but I have said good bye to my grandmas, a few dear older Sisters in my church ward, and even some tragic goodbyes of younger friends. I am always grateful that I took the time before these sad events to make a gift for the grieving family that always brings them and myself such comfort. With that said, I started this beautiful daisies blanket on my trip to Wisconsin. I found the pattern on Pinterest from the website Tejiendo Peru. 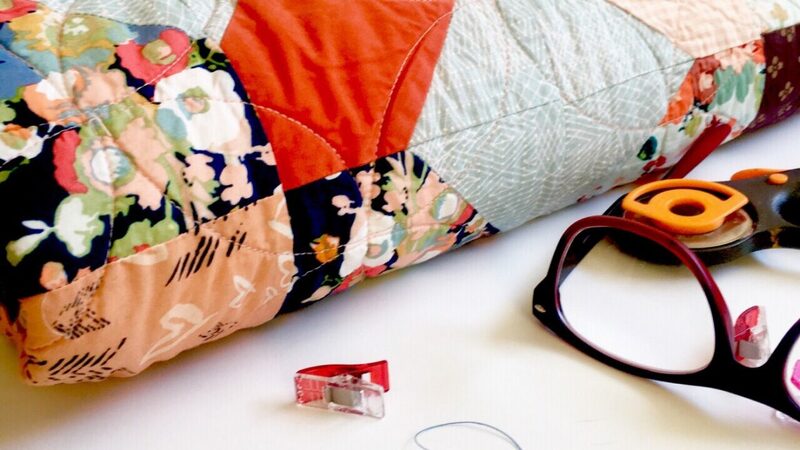 It is called Flower Garden Stitch. 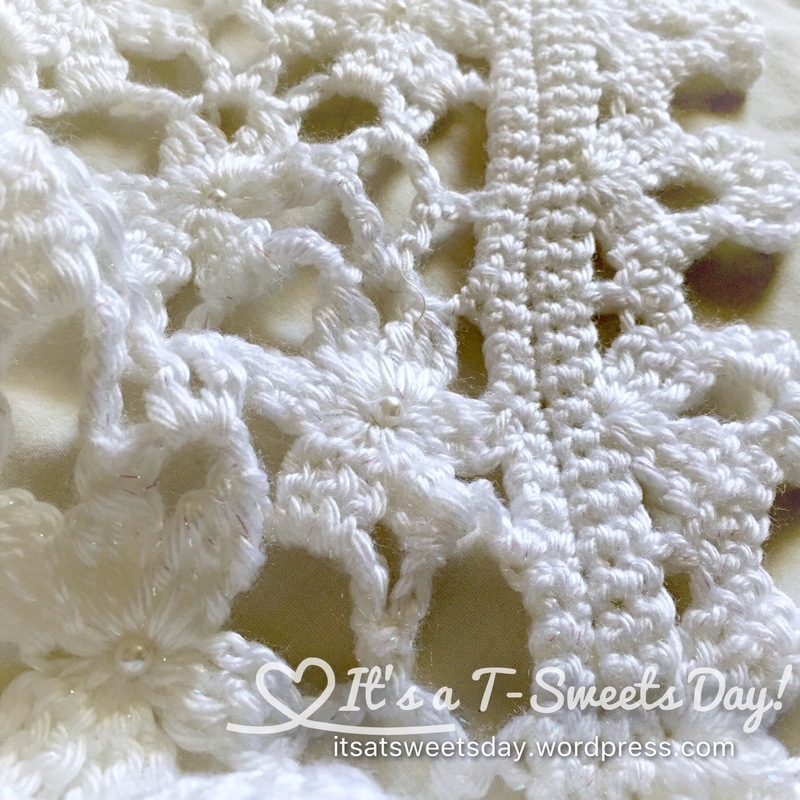 It is a very lacey design that is perfect for a loving farewell. 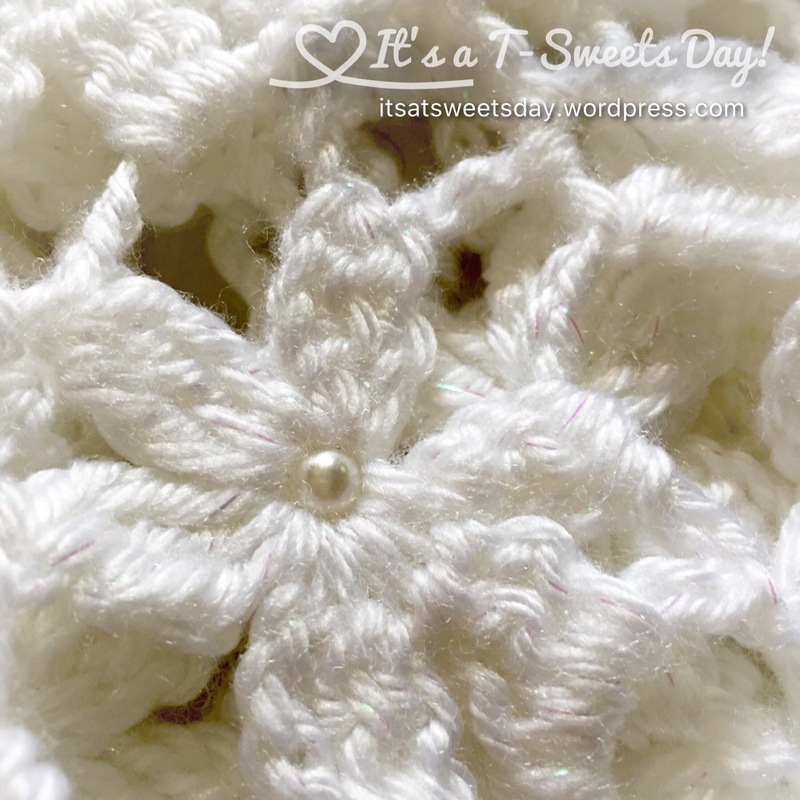 The pattern is fairly easy with the exception of leaving so many loops on the hook in order to make the petals all connect. There is a video here that shows how to make the flower. The pattern is also easy as it is in English and is a map pattern. One small picture is the whole pattern. Yea!! I put it on my phone pictures and was able to crochet on the plane and in the car. Portable projects are a must! It didn’t take long to make this cover. Funeral blankets do not need to wrap all around. They just need to cover or lay on top. This is about 3’x 4.5′ Just a guesstimate. I used my favorite Caron Simply Soft yarn. This white had little sparkles in it. After blocking, which always makes the afghan calm down and be so pretty, I added the pearls . I used pearls from an old bracelet that I had. They really finish this blanket so well. It is beautiful! Saying goodbye to a loved one is never a good thing. But having a SWEET gift to give in times of sorrow is. I think it’s a very thoughtful and lovely thing that you do this. What a lovely gesture, I know that hospitals are always looking for blankets for still borns. How lovely that the person’s body is wrapped in love. Making small blankets for hospitals would be a very nice service project:). Thank you for sharing! It is thoughtful. When my second husband died, my girlfriends mother brought me one. It was very sweet. I do not think it is morbid at all. Something handmade, shows how much you care in a special way. Thank you so much Lori! I’m glad that someone gave you a gift like this:). Giving and receiving hand made items really does show a deep level of love and caring. Thank you once again for sharing your experience.